During the winter, many people use lights to combat the effects brought on by the lack of sunlight. A full spectrum of light invigorates people and helps ward off depression. Artists rely on the full spectrum of colors to create their work. It's amazing how restorative it can be to spend a couple of hours choosing and cutting colorful fabrics or spreading washes of watercolors. 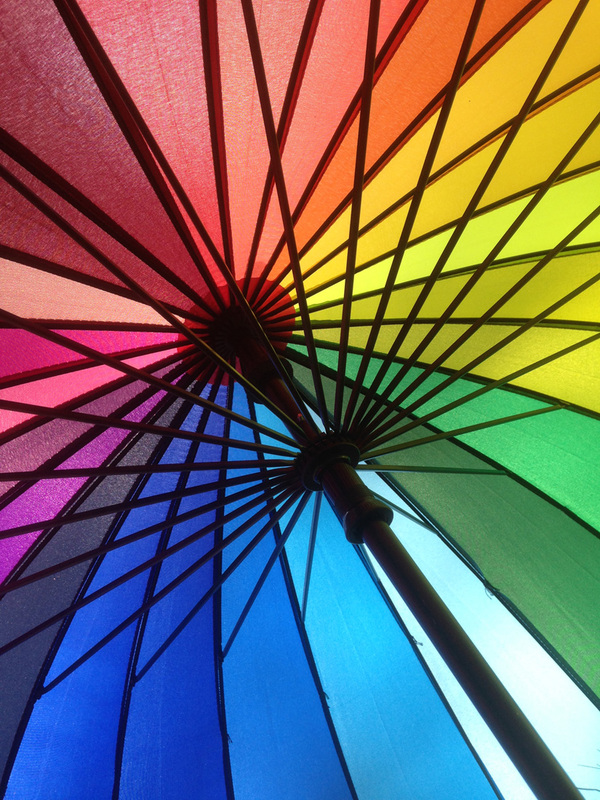 This is my full spectrum umbrella. What a treat to be out on a dark and gloomy day and yet be sheltered by all the colors of the rainbow. On February 15th, a heart-shaped box of chocolates is as desirable as a pair of wooly mittens on the Fourth of July. Tossed in a grocery cart, shoved into a corner of the store, it’s a sad sight. I look at them and try to analyze why they were not chosen. Too large? Too small? Too ugly? Who was the anticipated customer for a box upholstered in quilted fabric reminiscent of a bandanna? There they sit, bathed in cold fluorescence better suited to revealing blemishes on avocados. I hope that all the unwanted boxes find homes before Easter. 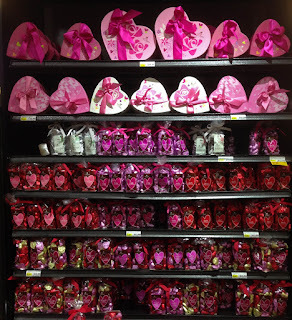 As February 114h approaches, all sorts of Valentine-themed treats crowd the shelves of stores. Reds and pinks abound. The holiday comes during that final seemingly interminable stretch of winter, when gray days, dirty roadside slush and the occasional blizzard makes it seem as if winter will be here forever. 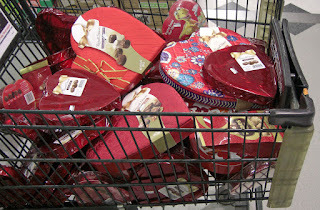 We need cheery red heart-shaped boxes, velvet bows, glittery pink foil and the chocolates wrapped in that foil. This year, Valentine's Day is also the first day of Lent, the season of fasting and sacrifice. What to do?? 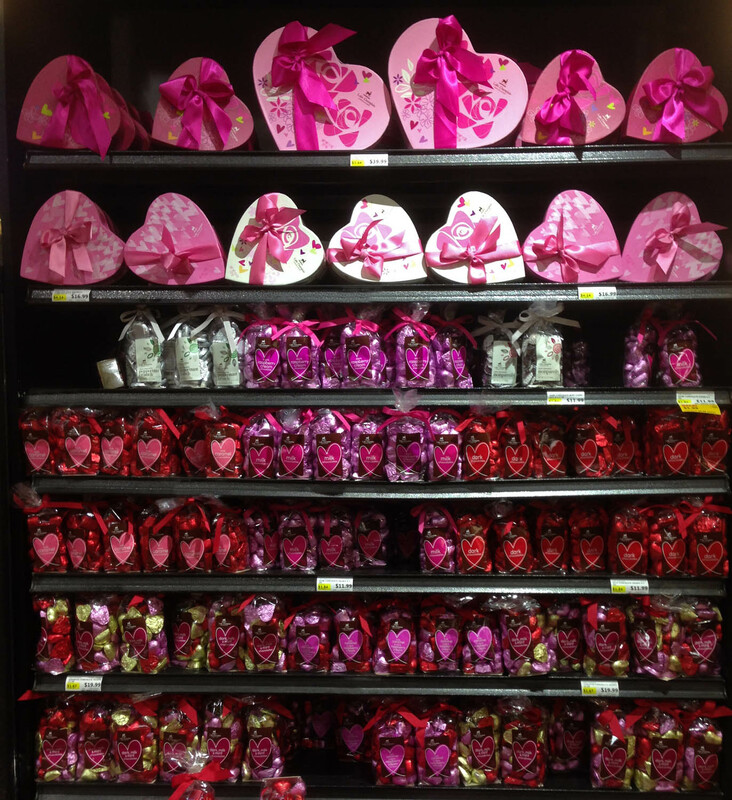 Perhaps unwrap those chocolate hearts early and enjoy some of them now. 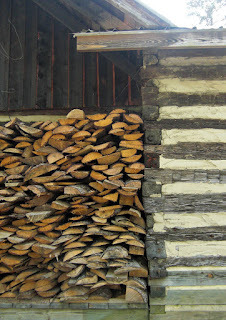 A pile of neatly split and stacked wood is a necessity for those who live in a log cabin with a wood burning stove. 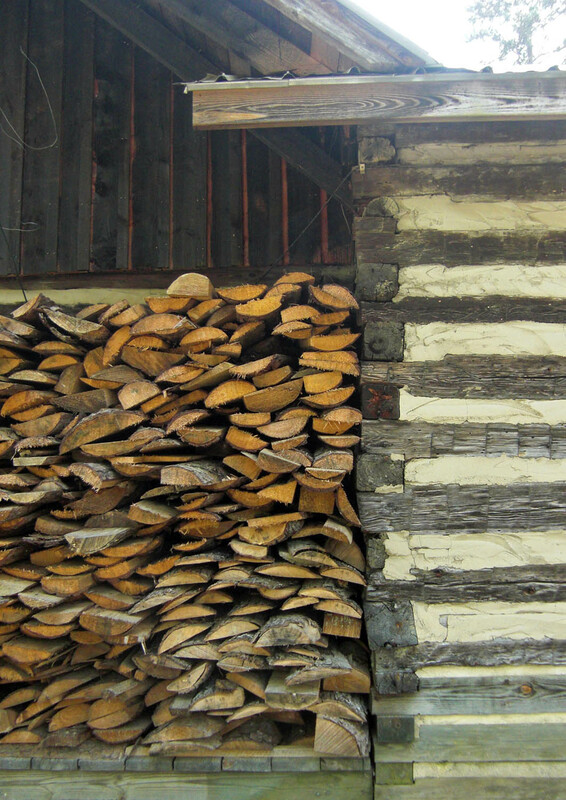 On a day that is not cold, I can admire the patterns, the horizontal and vertical lines of the logs and siding contrasting with the jumble of split log ends that are trying to be orderly but not quite succeeding. It's a perfect collage...well, actually it's a perfect assemblage, art waiting to be noticed.